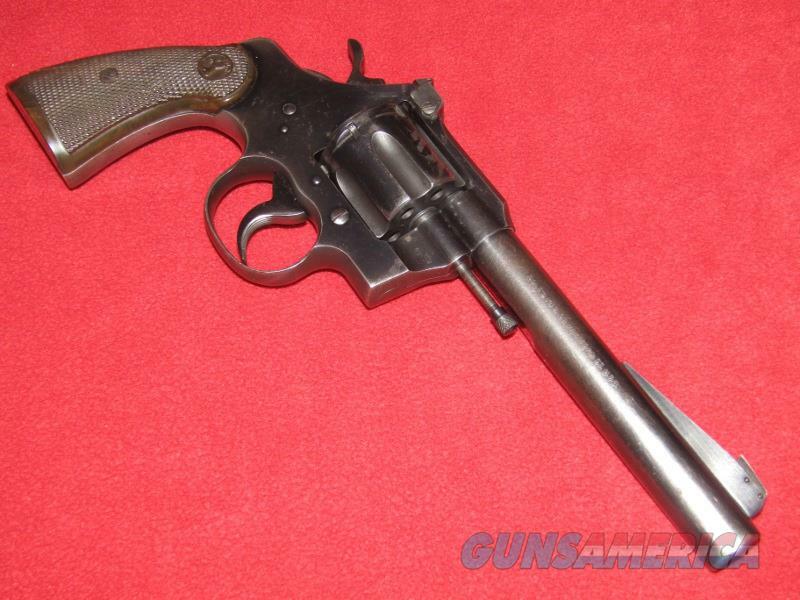 Description: Up for sale is a used Colt Officers Model Special 4th Issue Revolver (.22 LR). This item has a 6” barrel with a shiny bore and synthetic stocks. The blueing shows light scratches and wear in the finish as well as some light freckling in various areas. The polymer stocks have some dings in the checkering visible as well as both grips have a visible crack. D.O.M. is 1950.